Today we’ll review how to email from Cabnetware. 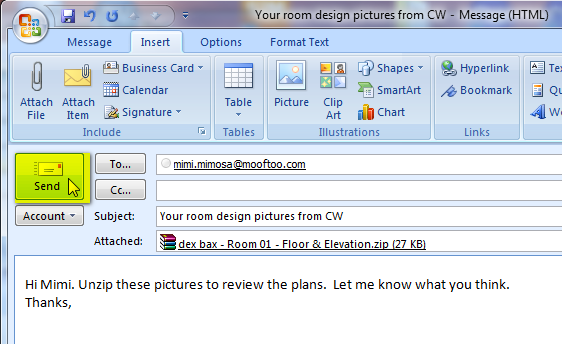 You can easily email images to clients for review. 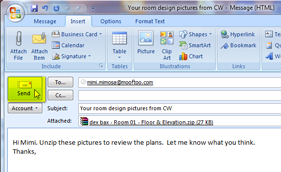 With a room open just choose Email Room Images… from the File menu. Choose the Current View or Floor Plan and Elevations. 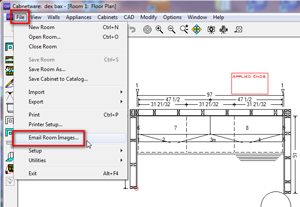 Specify the resolution of the images. 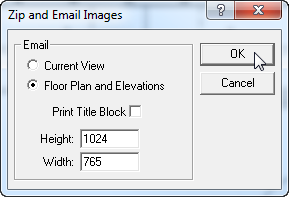 The bitmap or .jpg file(s) will be the size of the Width x Height in pixels and will be compressed in a zip file form. Normally, the next screen that comes up will be your default email program with the zip file attached, ready for you to enter an email address and send. That’s all there is to it. But, if your email service doesn’t start up, or there is some other problem such as a loss of internet connection, you can still get the image files to attach yourself later. Just start your email program any way that you can. 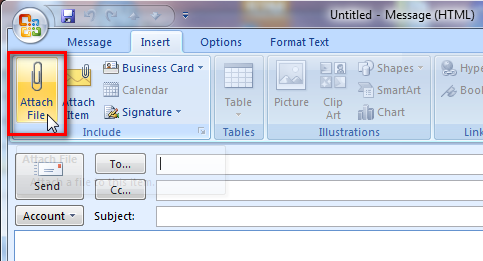 Then use the attachment feature to attach the zip file of the images that you tried to email from Cabnetware. They will have already been created and stored in a file folder. When you do the attachment, simply navigate to the email folder. This folder will be parallel to the Share folder you have selected in Cabnetware preferences. (Check your path to Share in File Setup Preferences – Paths). This email folder will typically be C:\Planit\Cabware_8_4\CwData\Email. Once you have selected the zip file, compose your email, enter the address and send it! Your clients only need to unzip the images to review them. Most zip programs will allow viewing of the images even without unzipping them to a folder. 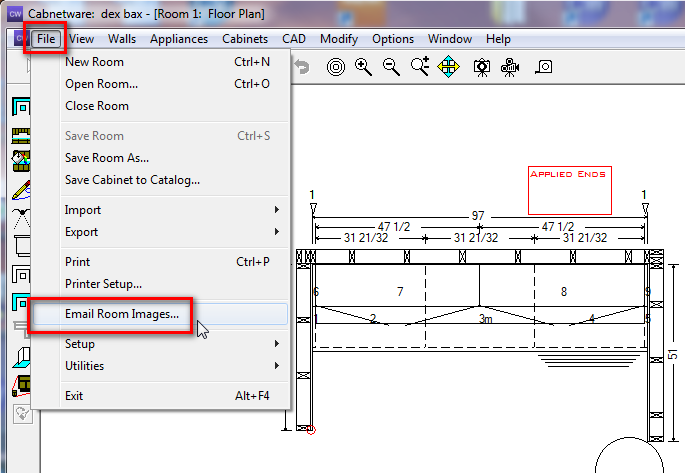 Drawings from the room design or Multi Draw can be emailed when using Cabnetware Ultimate, Advanced or Design. Jobs can be emailed from all versions of Cabnetware, but only someone with a similar Cabnetware program can open the emailed job files.